Structured interviews are 5X more accurate than unstructured interviews when it comes to predicting candidate success. 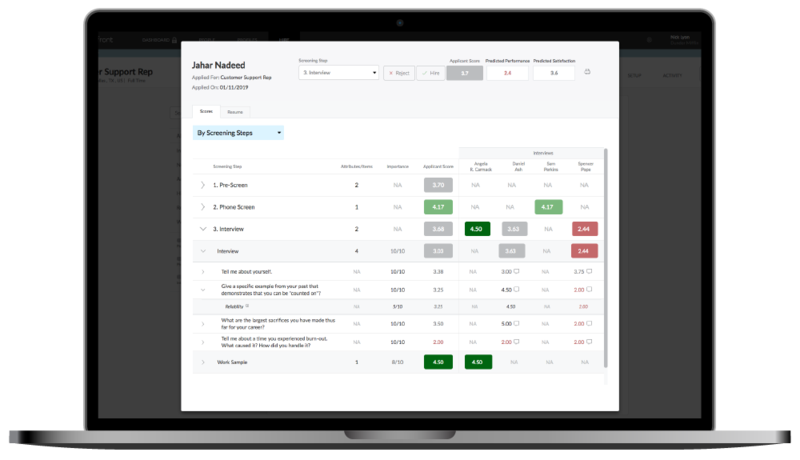 Score candidates in a repeatable manner across the entirety of your hiring process. Every Score. Every Interview. Every Note. All in One Place. Let us do the heavy lifting for you when it comes to aggregating interview data and insights. Easily access notes from every interview all in one place. 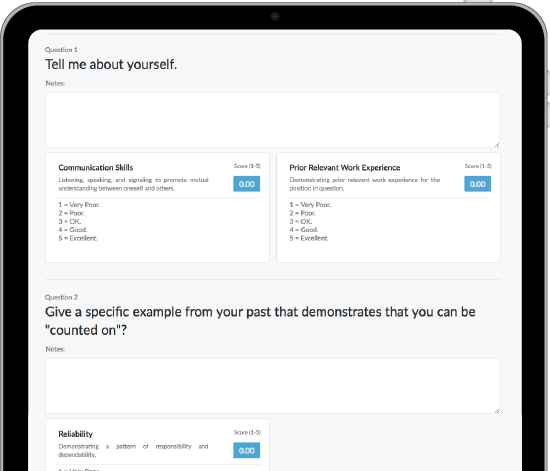 We make structured interviews easy. Just click the link and score the interview. And did we mention multi-attribute scoring? Great for work samples or more complex questions. Adjust scoring weights based on what matters most in your evaluation process. Start with defaults or dive right in and make it your own. Apply different weightings by attribute, by hiring step, by interview question, or even by interviewer. 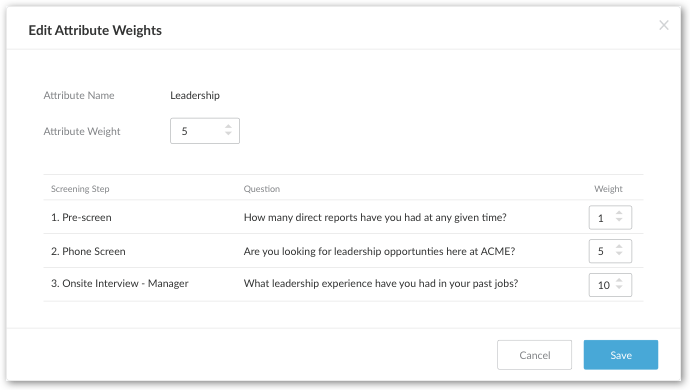 Whether you have an existing interview system or are just starting out, we make it easy to get started. 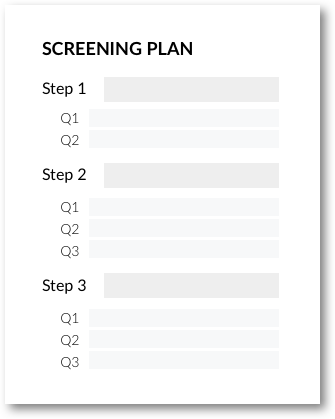 Use our customizable templates for interview questions or complete screening plans. We've got you covered. Set-up takes <1 hour. Want To See Predictive Interview™ In Action?